From Tebetian highlands to the lowlands of southwest Vietnam, the Mekong river and it’s thousands of tributaries meanders it’s way across 39,000 square km in Vietnam known as the Mekong Delta or miền tây (western region) , encompassing the lands immediately west of Saigon to the very southern tip, Cà Mau. 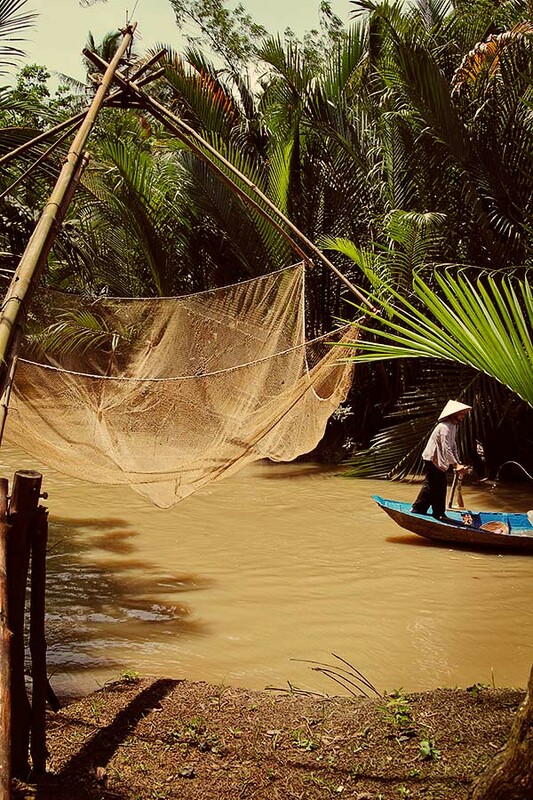 Dubbed as a biologic treasure trove, the waters of Mekong river is a way of life for over 17 million inhabitants. It’s waters and rich soil help to produce half of the countries rice crop each year as well as an abundance of fruits. It’s also home to large aquacultural industry raising catfish, basa, and shrimp. 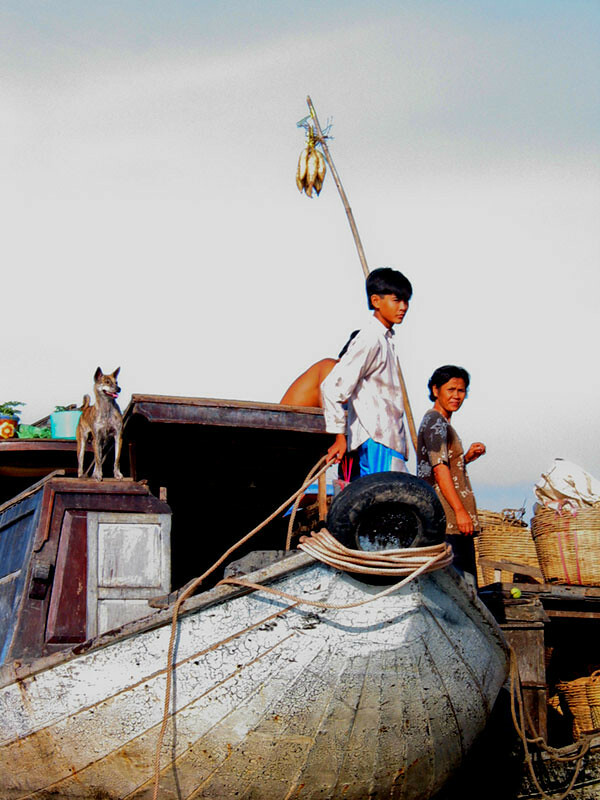 Life here revolves around the river–owning a boat is just as important as a scooter, if not more, as it means you can ferry your crops to the market to sell to earn a living. 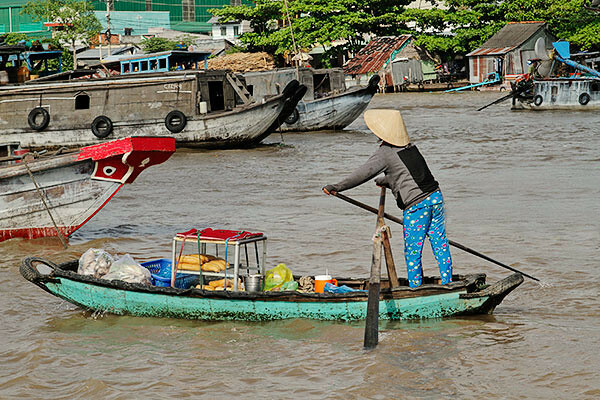 The Cái Răng market in Cần Thơ, is one of the largest floating markets in the region. Mainly a wholesale market for fruits and vegetables, this normal way of life has become a must see destination for anyone visiting this area. Each morning at sunrise, the market is teaming with activity. 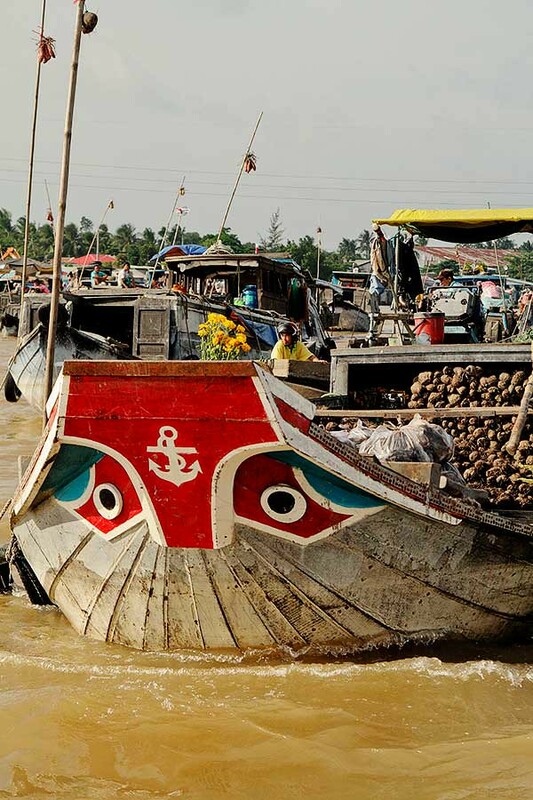 Hundreds of large wholesale boats from all over delta converge and drop anchor in the market, hanging their crops on bamboo poles to signal what’s in season and for sale. We’re not sure if there’s any order to it all–bananas on one end or dragon fruit on the other, but the the large boats create lanes, or market aisles if you will, for smaller retail boats (and tourists boats) to weave through. 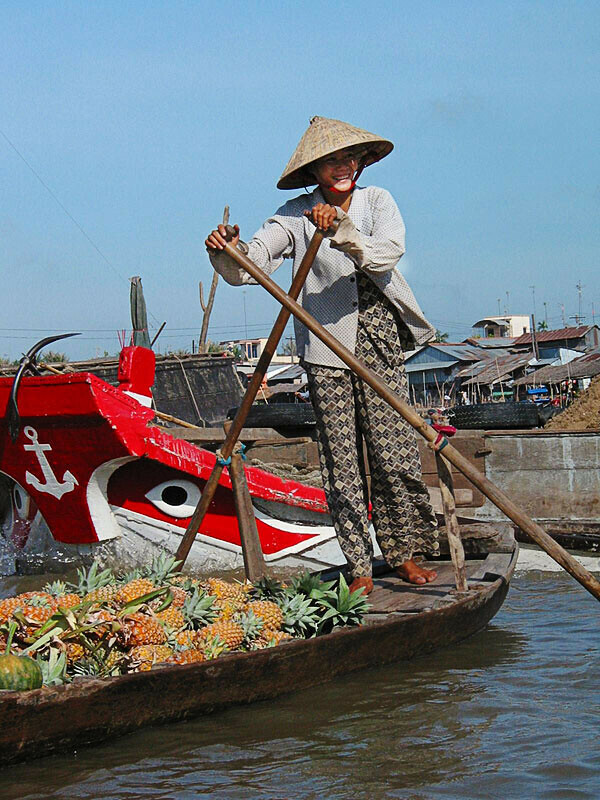 Instead of aisle numbers and shopping carts, check the bamboo poles weave your boat to your vendor, place your order and soon bundles of fruit and vegetables are tossed onto your boat. It’s an extraordinary way of doing business that you’ll ever experience. If you see household items on the boat such as cloths or pots and pans, or even pets on boat it doesn’t mean it’s for sale. Some families actually call the boats home! As with markets on land, there’s no shortage of food options to satisfy all the hungry vendors and visitors. 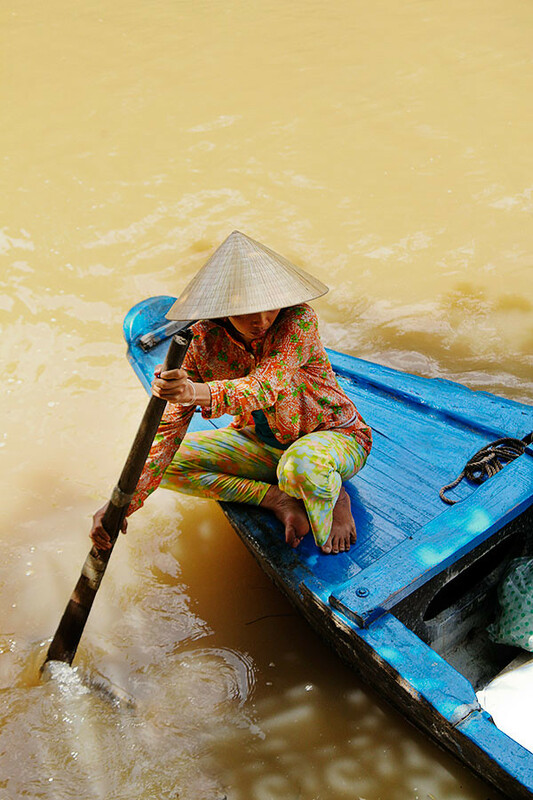 You can flag down floating cafes to indulge your cafe sua da morning fix as well as banh mi boats to satisfy your breakfast cravings. Oh, but you’ll rather have a bowl of hủ tiếu instead? No problem! There’s a boat for that too. Just good luck trying to eat a bowl of noodles in a floating boat. After you manage that, the noodle lady will navigate around find you and retrieve her bowl and chopsticks. The ingenuity and perseverance of these people are simply amazing. 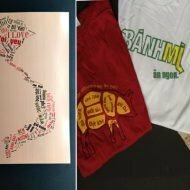 But the Mekong Delta isn’t known for hủ tiếu or even pho for that matter. It’s known for dishes that uses the abundant seafood and vegetables from the region such as hot pots called lẫu mắm made from salted fish as well as one of our favorite soups, canh chua. We adore canh chua because the contrasting flavors of sour, sweet, and savory and we also love the contrasting textures of all the different vegetables. 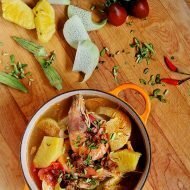 Literally translated as sour soup, canh chua combines all the wonderful abundance of this region, incorporating seafood (such catfish, snakehead, eel, shrimp among others) along with colorful medley of tamarind, pineapple, tomatoes, okra, elephant ears, bean sprouts and a variety of herbs such as lemony ngo om. 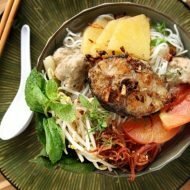 Enjoy canh chua with some steamed jasmine rice as part of a traditional Vietnamese meal or alone with some rice vermicelli noodles. 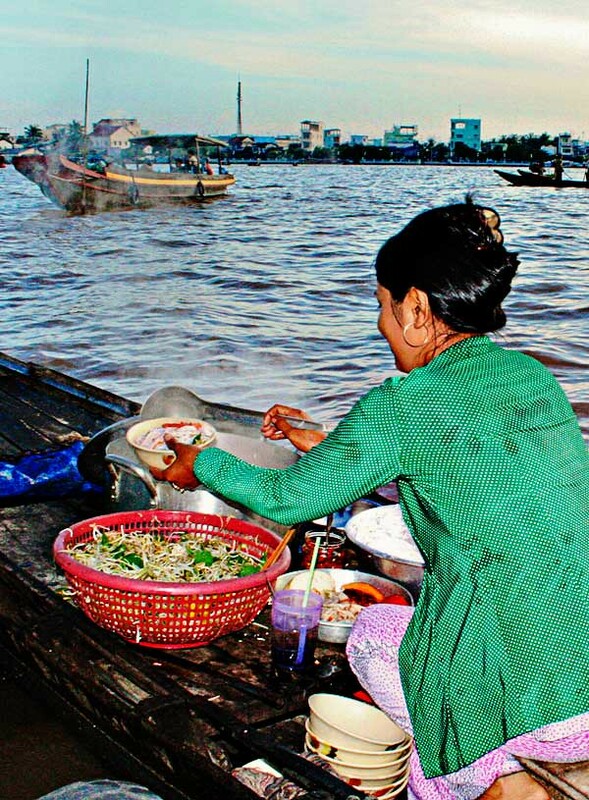 Everytime we make this dish, we’ll always remember the floating fruit vendors and life on the Mekong. If you’re visiting, hire a private small private boat to visit the market early around sunrise or slightly after when it’s most busy. We love using prawns for this dish but you can use your favorite seafood. Any firm white fish steaks such as catfish, mahi, tuna, would work well. The key to this dish is to not over cook the veggies, adding them in the order of how long they take to cook. Coarsely mince garlic and fry till golden brown. Remove from oil and drain on paper towel. Save oil and set aside. Marinade the prawns/fish with the fish sauce and pepper. In large pot, using the oil from the garlic, saute the shallot. If using shrimp skip ahead to next sentence. If using fish steaks, quickly sear in the hot oil, flipping once. Add water/stock and tamarind, vinegar, sugar and bring to boil. Then add tomatoes, pineapple, okra, shrimp. When prawns are cooked and tomatoes are just tender, add bean sprouts and taro stems and season with additional salt or fish salt and sugar to taste. It should be sweet, sour, and savory. Remove from heat finish with rice patty herb, fried garlic and optional chili. If using fish steaks, remove fish and place on clean plate. Season with fish sauce and chili. Serve the plate of fish as a side and serve immediately with white rice. Thanks so much for sharing. I’ve yet to do business while on a boat! Love the pics, supporting text and recipe. You guys are awesome! Yum! I love this soup. Is it the same as the sour and spicy catfish soup? I live in the States. Where can I purchase the rice paddy herb? 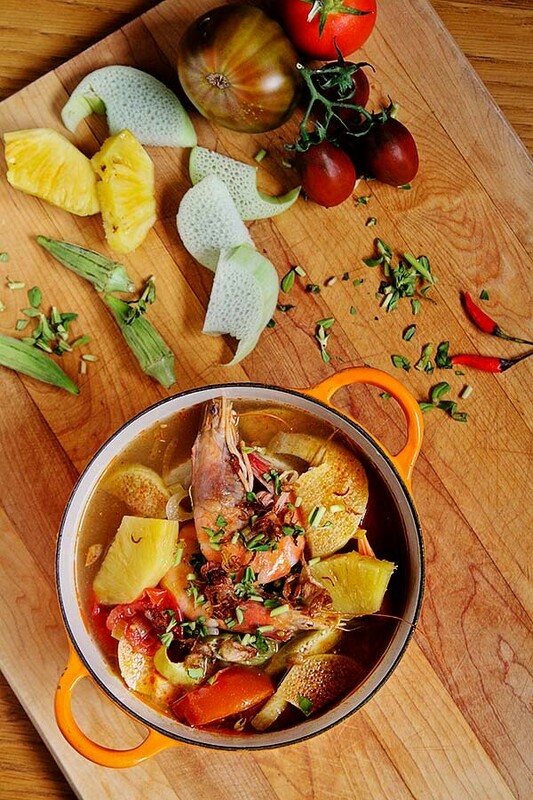 This bowl of canh chua looks delicious and your pictures are amazing. I just stumbled upon your website and the stories and food look wonderfully beautiful. Kudos to you both. My favorite variation of this dish is using chicken and rau muon. I make it quite often paired with ca kho to using catfish. Is it okay to use the tamarind powder instead? Also, should I use homeade “fried garlic” or the store bought one? We are just back from Vietnam. So glad to find your web page and recipes! Planning on caramel fish in a clay pot (our favorite from Hoi Ahn and Tamarind prawn soup ( a favorite from Can Tho) for starters! Then I’ll try some more! Love your website and thanks for the time and thought you have put in each blog. Really love the beautiful pictures you have uploaded. There is so much history and love going on this site. Thanks a million. The pictures are so wonderful! This is my favorite Vietnamese dish of all time. Thanks for posting the recipe. When I first started making this, I thought I had done something wrong.. It looked so strange and not at all like the canh chua that I was used to. But then… bam! Somehow, someway, it turned out EXACTLY like how my mom had always made it for me. My mom passed away last summer due to liver disease. She would always make this as a treat for me when I came home from college, since she knew it was my *favorite* food. However, I was always too stubborn and lazy to watch and learn from her when she was cooking. Now, it’s too late and I had thought all was lost… No more delicious home-cooked Vietnamese meals for my brother and I… Until I stumbled upon your website. 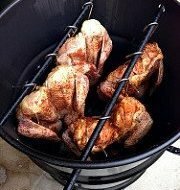 Your recipies are simple, easy to follow (for newbies such as myself), and every time I’ve tried something it’s turned out great! But this canh chua was even more than that- it was perfect. Definitely takes me back to the good ol’ times with my mom. I think she would’ve been proud. Anyways, I guess what I’m trying to say is thank you! I have tamarind paste. How much would I use? I’ve had celery used in the soups I have bought locally at Vietnamese restaurants! Also, love the photos and descriptions. Thank you so much for the recipe. Your recipe calls for 1 cup of tamarind pulp, is that correct? It only seemed too much to me when other recipes calls for a fraction of that amount. I just want to make sure that’s all. Made this tonight! It turned out very sour since I used a cup of tamarind. I had to dump half the pot and dilute it with water. Great and easy recipe though!! Made this for dinner as a stream boat style Canh Chua. Beautiful flavours, just how mum makes it. Only one change, instead of using 1cup tamarind purée I used 1/2 cup tamarind soaked in 1/2 cup boiling water. Thanks for the recipe! Very easy to follow.